A senior Liberal Democrat (Lib Dem) has called Conservative plans to reduce UK spending to ‘1930s’ levels as ideologically driven and economically illiterate. 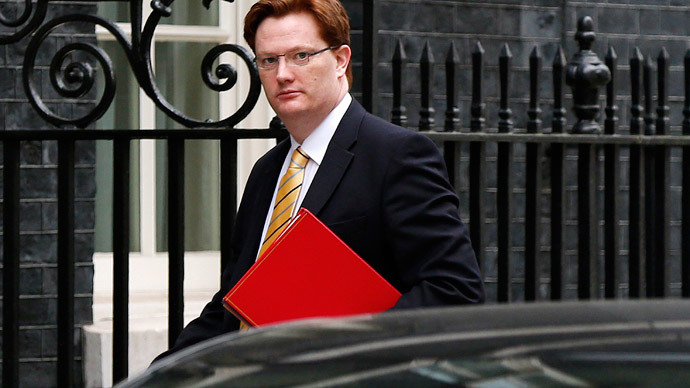 Danny Alexander, the Lib Dem Treasury Minister said Chancellor George Osborne’s plans would lead to “shrunken” and “shriveled” public services. He told the MailOnline he believed Osborne’s plans to cut the deficit and foster economic growth were “economically incredible” and he objected to the “year after year after year” of cuts to public spending. Having worked under Osborne during the coalition’s reign in government, Alexander said he was raring to go head to head with the Chancellor in the televised election debates to confront the continual cuts. Alexander said there were “big differences” between his party and the Conservatives and Labour, saying he had not agreed to make such huge spending cuts. Alexander believes that the OBR prediction that public spending could shrink to 35 percent is an overestimation, saying it could be 2 or 3 percent higher. He said the Lib Dems would eradicate the deficit by cutting 80 percent and raising taxes for the other 20. “I think plunging it further into the sort of shrunken shriveled public services that the Tories would imply, I just think that is totally wrong,” he added. Alexander backed two more years of cuts to spending, claiming that by the 2017/18 financial year, the deficit would have been eradicated. The Conservatives refuted the claims, saying that the latest figures from the OBR predicted that public spending would actually be cut back to 35.2 percent by 2020. “For five years he and the Lib Dems have backed George Osborne every step of the way, including breaking their promises on tuition fees and VAT while cutting taxes for millionaires,” Leslie said.